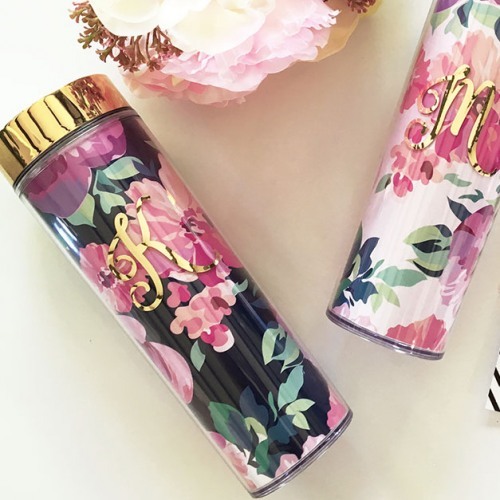 It's fun to stay hydrated with these pretty, personalized floral tumblers! Both stylish and practical, these tumblers feature a floral design as well as her monogram written in gold vinyl. Each even comes with a matching lid and straw for easy use. Perfect as a gift for any occasion!